There are quantities of false information in the catalytic converter recycling industry that confuses sellers. And there is information that smelters and refiners will not make known when dealing with their suppliers of autocatalyst. They don’t want to reveal their own methods of profitability. If you are de-canning and selling a catalytic converter to a buyer, you often can’t understand why you have variations in your evaluations. You might be powerless to compete in your area against much larger de-canners who are paying more for converters. First, the companies that pay you likely deal with the same smelter/refiner you deal with. They are often behaving towards you with better terms and evaluations than you are due to their volumes. If you are small you will have the strain of competing. You may even have other opponents doing volume and dealing with a different smelter/refiner than you. Possibly, you still will not be able to compete since they produce much higher volumes and have longtime connections with their smelter/refiner. We evaluate your converter quickly and usually get back to you within 24 hours. We provide you a price quote that is usually at or above current market prices. 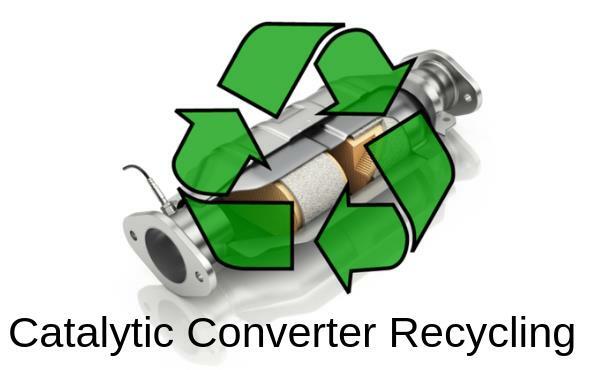 We can take large loads of catalytic converters to recycle.